I love me some Pinterest! I usually scroll through it at night before bed. It's my go to for new recipes and projects. But the other night a Pin popped up in my feed/suggested for you that made my stomach upset. I'm going to be honest, before this past school year I would have thought these pins were super cute. I probably thought they were excellent classroom resources. But this past year changed everything. In December, B's class had a Polar Express party scheduled. Kids were going to wear their pajamas, drink hot chocolate, eat snacks and watch the movie. The movie came on TV a few days before the party. B was sitting at the kitchen table playing. I said "B, Polar Express is on TV. You're having a Polar Express party Friday. Want to watch the movie with me?" "No Momma. I'm not going to the party. I don't want to watch." "What do you mean you're not going to the party?" "My teacher says only hard workers are going to the party. I'm not going." "What were you doing when she said that?" "I wasn't working hard. I'm not a hard worker. I'm not going." I reached out to the teacher. She assured me that B was going to the party. I explained to her that he had taken her words VERY literally. After the conversation, I reflected on how many times I've said something similar to my students. About a million! 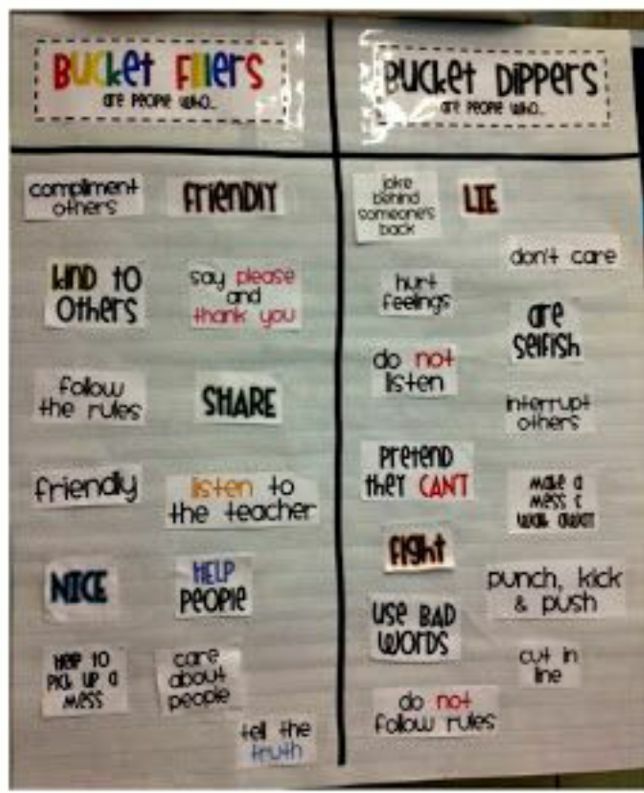 When I saw these posters, I immediately thought of B and other kids who take things literally. And it broke my heart. I can't imagine sitting in a classroom, knowing that I do some of those things. Believing that my behavior makes me bad. Makes me a peacebreaker or a bucket dripper. Additionally, some of the things on both negative sides of the posters describe things that B does mid-meltdown. Things he has very little control over. Kids on the Autism spectrum have enough trouble handling super busy, highly decorated classrooms and making friends. Can we PLEASE not give them negative labels? Can we PLEASE not give other students names to call them? Can we PLEASE see through another's eyes? Prior to writing this post, I was familiar with the No David! books that the Peacemakers/Peacebreakers poster is based on. 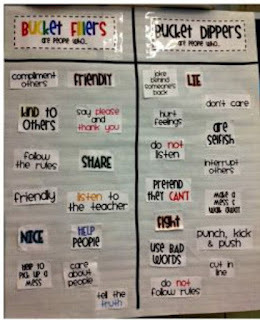 But I wasn't familiar with Bucket Fillers/Drippers. I researched it and found this interesting article. Here's my favorite part of the article. Did you catch that? We can not add to ourselves by taking away from another. Let's model this for kids. To be clear, I have no problem with the positive sides of these posters. 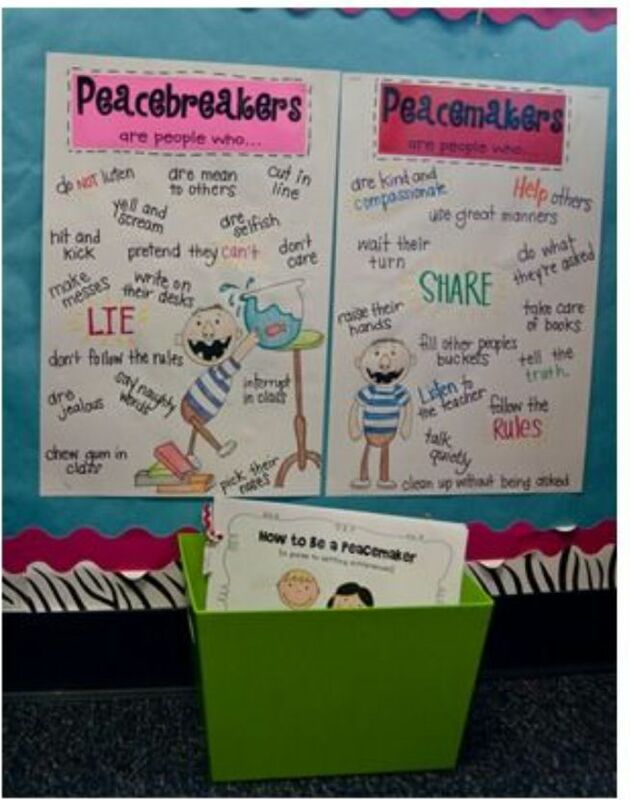 I think being Peacemakers and Bucket Fillers are awesome things. We need to teach kids how to do these things. We just do NOT need to teach kids that some kids are bad. Let's seek to teach compassion. Please stop shaming kids into behaving. Along those lines, I have not linked to the original posts nor the pins. I have no interest in shaming anyone for their use of these posters. I am simply asking teachers to see through another's eyes, to empathize with how these posters can be perceived by kids. I am attempting to reach out to the creators privately to ask them to consider another point of view. Update: I received a very quick response from one creator. She was extremely gracious. 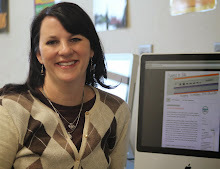 She shared that she takes each year's specific class into consideration when determining her classroom management. The peacemaker approached worked for the group of kids she had that year. In the years since, she's adjusted based on the kids in her class. That's all anyone can ask for! I appreciate her heartfelt response and her willingness to listen!